"Why the need to try upgrading our existing turntables? Just upgrade to a higher or better model, isn't it easier ? " In the course of my work in tweaking turntables, many people ask me this interesting question. Yes, I fully agree. It's much much simpler to just buy a better model which meets your need and be done with. And that's what I had been doing in the past. But the problem is what we need today might change in six months or a year and it would be difficult to keep on looking for newer or better models. Down the analogue journey, I have actually acquired and tried out numerous turntables. Besides enjoying the warm music from the turntables, I become very interested in the "anatomy" of turntables, perhaps due to my engineering training. Tweaking turntables is indeed great fun to me! So instead of junking what I have already owned and get new higher models in pursuit of better quality or more hi-fi sound/music, I've designed components to improve the performance of my turntables. This is an interesting ongoing project for me, very challenging and enriching experience too as I learn a lot through experimenting it myself. "What to upgrade and how to upgrade?" you may ask. Well, we can either upgrade or tweak what we have in hand (provided it is upgradeable, e.g. idler wheel-drive turntable Lenco L75); get a good pre-owned unit(e.g. belt-drive sprung turntables Thorens TD160/TD145 or belt-drive unsprung turntables Rega Planar 2 or Planar 3 or direct-drive turntable Technics SL1200MK II) or even buy a new budget turntable (e.g. 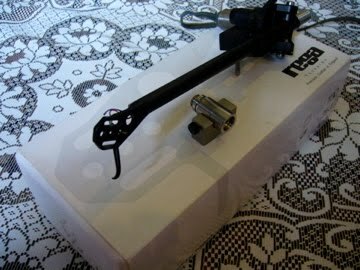 Rega P2/P3/P5) to upgrade. Next, what shall we focus in the upgrade? Why? This because I consider "turntable proper"(armless) the most important contributor to good sound. "Turntable proper" consists of sub-platter/platter, plinth/sub-plinth, main bearing in which the sub-platter/platter spins, a motor drive system with pulley and belt, spring/ rubber isolation and suspension system. Each of all these components has its effect on the sound quality depending on design of the system(mechanical/electrical ), the shape/mass, degree of isolation (mechanical and electrical) and also the nature of material used for the parts( e.g plastic/metal pulley, resin/aluminium subplatter). Another fact: a turntable is more of a precision mechanical device even though it has an electric motor. So it's possible for us to improve the components on board. 1. Change the resin sub-platter to aluminium sub-platter to reduce resonance. 2. Replace the glass or fiber board platter with acrylic platter to lower the centre of gravity and better moment of inertia effect. 3. Isolate the motor vibrations using the isolation base which acts a a vibration-sink as well as heat-sink. 4. Change the plastic pulley to metal pulley to steady the rubber belt rotation. Each of the above tweaks gives some improvement and the cumulative improvement would be very substantial. 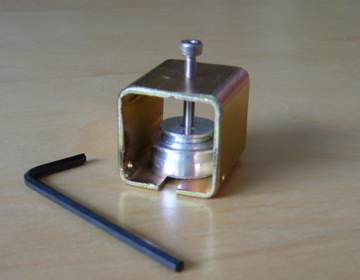 Tonearm is the second most important contributor to the overall sound effect of the turntable. 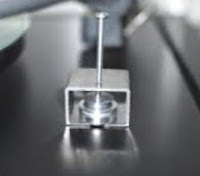 By changing the stock end-stub/counterweight( of Rega Planar 2 or P2) to an all stainless steel one with under-slung counterweight has a profound effect on the sound produced. This is a simpler task for a layman compared to meddling with the tonearm wires which is often suggested. 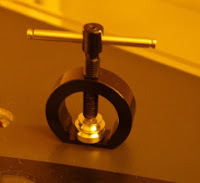 I consider changing the tonearm wires as a specialist job and it must be handled with care or the bearing might be damaged, in turn adds more resistance to both vertical and horizontal movements of the tonearm. As a result, there would be undesirable sound degradation. Therefore, to start with, we should focus the tweaks on the mechanical design, material used and selective isolation. By doing so, we can achieve a very big and significant improvement in the sound of a humble budget turntable without having to rob the bank. 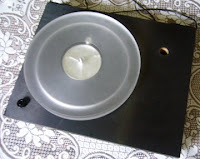 Turntables like Planar 2,Planar 3, P1, RP1, P2, P3, P25 come with pulleys made of some kind of plastic material whereas for higher models ( e.g P3- 24, RP3, P5, P7 & P9 TT's ) are equipped with metal (e.g. aluminium) pulleys. To install is easy; just pull out the pulley which is glued to the motor spindle and then drop this stainless steel pulley into the spindle, adjusting it to suitable height and finally lock the pulley by tightening the set-screw with allen key. No messy super-glue to deal with anymore. Stainless steel metal pulley, with more efficient energy transfer, offers speed & pitch stability unmatched by the plastic or aluminium ones. You will enjoy the wonderful sonic improvement from this simple motor upgrade. * Note: For P3, P5 and P25 TT's, shorter version stainless steel pulley would be more suitable (available for 60Hz only). However this standard pulley could also be used by just lowering the motor (2mm) with sticky pad (for P3) or rubber washers (for P5/P25 TT). This additional insulation may help to reduce motor vibration to the plinth too. All good here now. They sound awesome. I don't understand how a simple upgrade like this makes world of difference. Now the details are thrown out. I just played Glenn Miller's in the mood. A different dimension. I have now got the old standard plastic pulley off and put the new stainless steel on. Oh Yes, THE TIMING is now very close to perfect and the overall sound has improved with it. Just installed all parts on my NAD 533/RB250 two weeks ago, have tested and found ok. very easy to install and excellent for my entry level system (NAD 533 TT/Nagaoka MP110, DIY phono pre-amp & intr amplifier, Quad L11 speaker) more open and solid bass, balance of stereo sound. Hello Michael, I just received the pully. It works great ! Your upgrade works very well and I've been having a great time getting the vinyl out. My kids are very interested in this ancient technology. Thanks for your assistance and the excellent service provided. just to let you know my rega motor pulley arrived on 28th nov. i am very pleased with it.a big improvment in sound quality highly recommended thank you so much it was a pleasure doing business with you. It is superb pulley. I am going to make the most of that item. Thank you in various ways.